VTRAC Worldwide becomes the latest force in Traffic management field following its strategic partnerships with RCE Systems and All Traffic Solutions. Bangalore based VTRAC is all set to push the envelope of traffic management in India. The firm is an onsite and offshore provider of traffic surveys and transportation data analytics globally. Its reports have been the backbone of multiple planning and infrastructure initiatives driven by the public and private entities around the world. The company has gradually expanded its operations in India to introduce and establish Artificial Intelligence and Internet of Things for smarter, more effective traffic infrastructure design and maintenance. The company has recently collaborated with RCE Systems, a Czech firm that has its niche in robotics, computer vision and embedded systems. Its research and development projects yielded a unique traffic solution christened DataFromSky. This is a software that automatically detects and tracks moving objects from aerial video captured by drones or other Unmanned Aerial Vehicles (UAV). The video is then processed to detect every traffic participant and derive data such as speed, acceleration, vehicle category, headways and travel time. It then collates all the data for automated evaluation of any dangerous situations detected and safety assessment of an intersection. 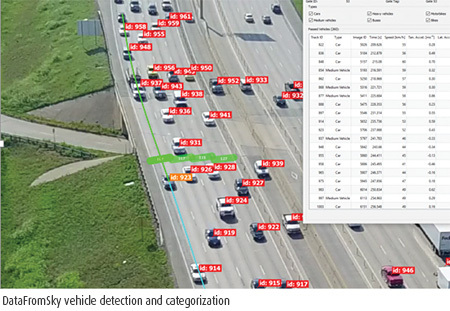 DatafromSky can be deployed for a short term to gather high-precision traffic flow data. While the concept seems simple enough, it’s a highly complex task that requires sophisticated image processing and spatiotemporal techniques. The challenges in such an undertaking stem from detecting the object from the aerial video and tracking it with accuracy. Extracting trajectory data is hindered by camera movement, objects in the background, lens aberrations etc. Yet mathematically, the aerial images are most suitable for detection and trajectory prediction of moving objects. The fact that it can decode meaningful information from such images is what makes it a promising and one-of-akind approach in traffic safety management. DataFromSky is tailored for the unsystematic Indian traffic scenario. It is also cost-effective as a single UAV can cover more than 100,000m2 area. It’s easy to install the sensor for this system and get the drones in flight. The aerial video is always a backup to verify the reports. The bulk of the data processing is carried out offline which means analytics systems don’t need to be online continuously. With this technology, VTRAC can now access mathematically suitable data that produces highly accurate results and offers scope for advanced analysis and interpretation. VTRAC is also leveraging their Parking Detection system, a smart parking system. Using AI, it defies the constraints of traditional parking management systems that use in-ground or overhead sensors. The data about the type of car, duration of parking and real-time occupancy are stored on the cloud for easy access from an internet connection anywhere. This system is packaged with mobile applications for both the drivers and car park managers. These enable online payments, routing to nearest parking lot, remote monitoring of cars and parking violation management. The other partnership that hands VTRAC the edge to upgrade traffic management in India is with All Traffic Solutions. Operating out of Pennsylvania, USA, it creates IoT solutions for transportation management and smart parking. This collaboration gives VTRAC access to their exceptionally user-friendly IoT platform in this niche, TrafficCloud and a number of smart devices that connect to it. Among the smart gadgets that will enter our arsenal through the association is the SpeedLane Pro Counter Classifier. This is a side-firing traffic measurement radar that records the lane, speed and class of vehicles within a 255-feet range. It can be non-intrusively mounted on the side of the road and draws a measly 0.85W power. Its built-in 1.3MP HD camera stores data on the 512MB memory onboard. You can program it for up to 16 lanes and get the data online through its Ethernet port. 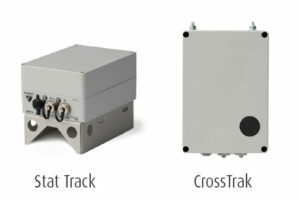 Their StatTrak and CrossTrak are multi-lane traffic data collectors. These can be setup non-invasively for long-range sensing, wireless connectivity and extremely low power consumption. They are bundled with a fullyfeatured data analysis companion software. This computes factors like 85th percentile, speed histogram and average speed comparison to draw traffic patterns. They also have optional GPS which geotags the data. These are highly portable, durable and can be installed quickly. “We are focused on integrating the latest technology to streamline vehicle and pedestrian movement in both Indian and global traffic management systems” Nagendra Reddy, MD, VTRAC. Another area that VTRAC explores, courtesy their partners, is traffic signage. 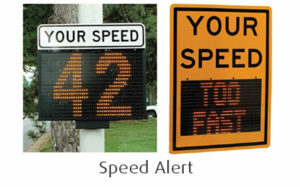 These customizable and smart signs are useful to enforce traffic safety, offering the drivers a chance to self-correct their speeds. Their SpeedAlert Radar Message sign is a robust, shatter-proof tool for traffic calming. It enables messaging versatility with conditional sensor messaging based on a range of factors including computable ones like time to destination, vehicle weights and available parking spaces. 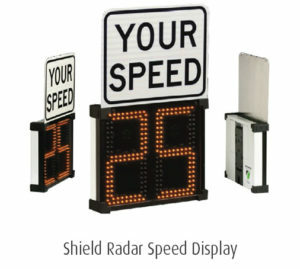 The Shield Radar Speed Display is a smaller and easy-to-install sign. It is portable, has a low power draw and displays the speeds of approaching vehicles so they can take a cue and slow down. Finally, all these devices can be tied together by TrafficCloud, a web-based ecosystem which gives you remote access to them from any internet connection. All the traffic data collected by the aforementioned devices can be monitored and analyzed from one place using a single interface across devices. If effectively empowers the authorities with the complete data required to calm traffic and administer traffic rules. Further, TrafficCloud is extremely user-friendly and does not require any IT support, database setup or customer maintenance. You can also manage messaging on ATS traffic signs from a central location using this system. The technologies and data analytics powered by VTRAC have the potential to bring method to the chaos of our city traffic. As the newer devices and platforms to determine journey times, vehicle counts, pedestrian counts, conduct parking surveys and public transport surveys are utilized, the resultant reports are much more current and dependable. The data gathered from various portals will be combined seamlessly to organize the boundless urban traffic while pushing for more sustainable modes of transportation. With emerging connections and capabilities, the company is constantly innovating to consolidate and ease human movement management.